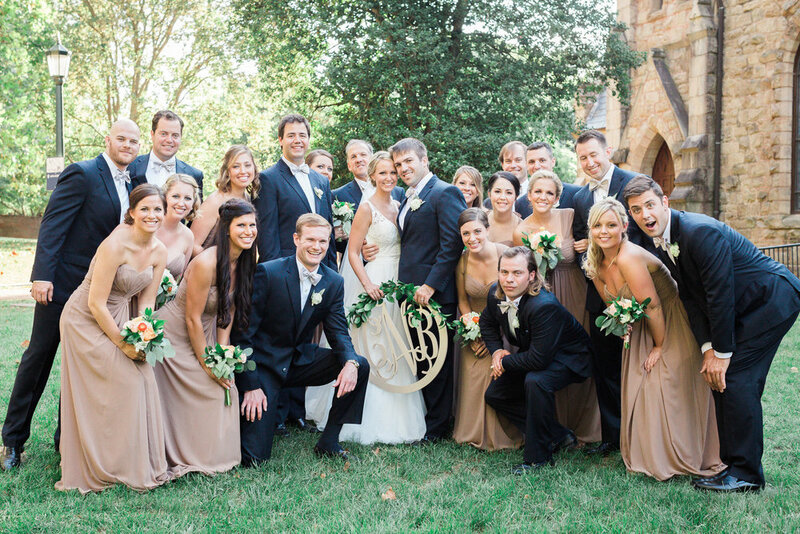 Caley & Brandon | Charlottesville Wedding — Twila & Co. This morning I am up bright and early heading to catch a plane to Chicago with Joey and Aaron to see my brother! I'm so excited to get to spend the weekend with 3 of my favorite boys (yes, it' just me and 3 boys). I'm super excited to tour the city again and enjoy a few days off after being just CRAZED with things to do. Unfortunately it's not all play as I will be doing a little work and we have a doctor's appointment with another surgeon for Joe's leg on Tuesday, but more on that on Monday in a Last Adventures update. Today is a happy day though and we are celebrating Caley & Brandon and their GORGEOUS Chartlottesville, VA wedding. You might remember seeing Caley's Save the Dates on Instagram or the website, but they are my absolute FAVORITE save the dates I've ever done. And her Invitation suite ain't that bad either ;). Caley has great taste and everything was clean, classic and beautifully colored. Since Caley is a good friend of mine, it was super fun working with her and meeting over wine to design them. And the colors...oh my gosh I LOVE her khaki envelopes and champagne ribbon. They looked so classic. Congratulations to Caley and Brandon on their marriage and move to Pittsburgh, I'm so happy for you! Thanks for letting me be a part of your day. And thanks to Stephanie for the gorgeous photos.